Thursday night, we had the pleasure of attending an amazing beer dinner collaboration between Wegmans and Midnight Brewing. 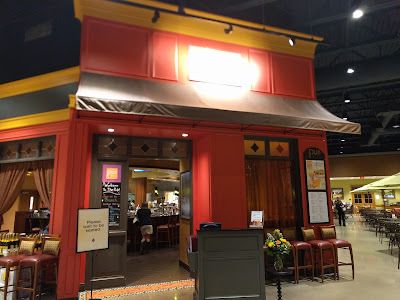 The event was at Wegmans' newest and most Southern location in Midlothian, Virginia. At our arrival, we were greeted with a house brewed shandy and hors d'oeuvres. I was glad to see both the Chef and Brewer mingling with guests. 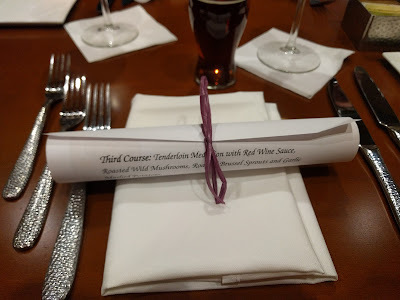 After introductions, we were seated, and the first course arrived. The first course of baked brie and fig jam paired beautifully with the Cairns Wee Heavy. 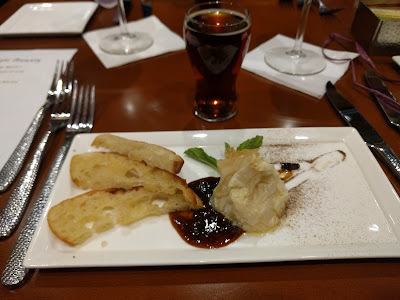 The sweet maltiness of the brew and the sweet jam were balanced wonderfully by the phyllo wrapped brie. 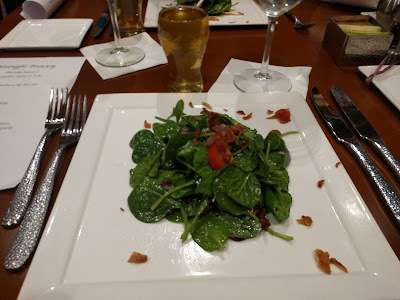 The second course achieved balance with the bitter spinach, salty pancetta, and sweet house honey mustard coming together to be paired with a crisp, refreshing New Beginning Kolsch. 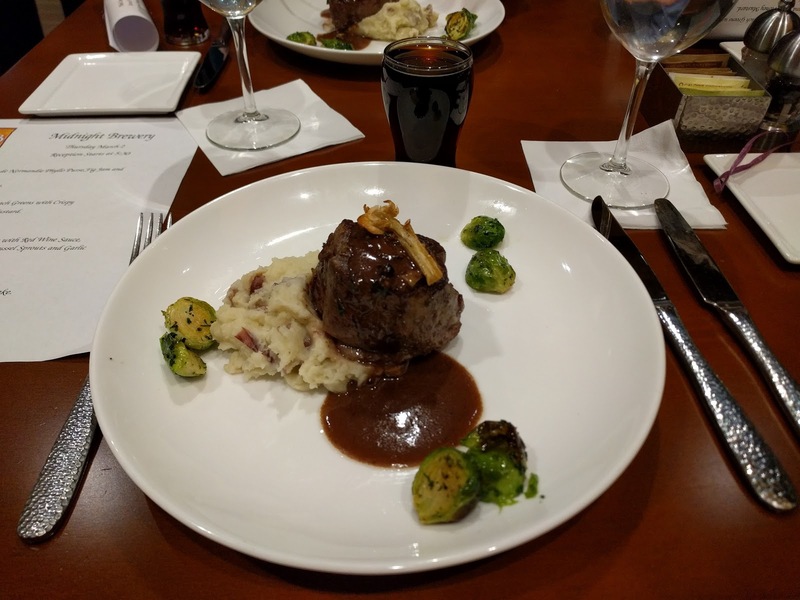 Course Three came in the form of a perfectly cooked tenderloin medallion in house red wine sauce, seasoned Brussels, creamy garlic potatoes, all paired with Midnight's crowd pleasing Not My Job Southern English Brown Ale. Finally, we arrive at my personal favorite pairing of the night. When I first saw the menu for the final course, I must admit that I thought there would be no way two items as sweet as an espresso chocolate cake and an oatmeal stout would pair. I was sure that the sweetness of one would overpower the other, rendering the second half of the course tasteless. I'm happy to say that I was wrong. 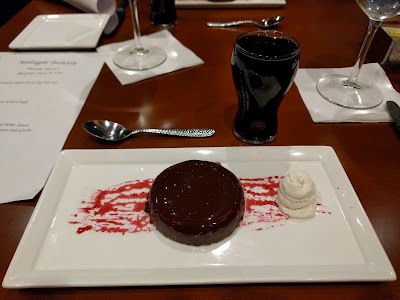 The Flourless Espresso Chocolate Cake and Granite Oatmeal Stout were the perfect pairing and the highlight of my night (and that's saying a lot). I want to extend a special thanks to Wegmans for inviting us and providing tickets. 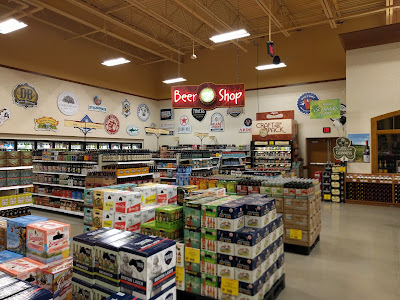 Personally, I've been enjoying their products for years, but this was my first visit to one of their locations. I can tell you with confidence, I will be returning very soon.